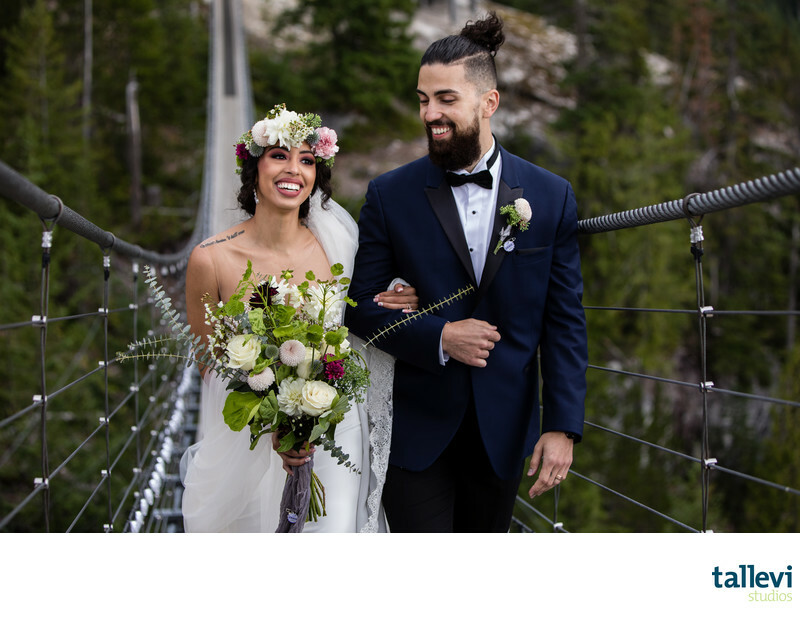 Squamish weddings up the Sea to Sky Gondola are amazing! The scenery is spectacular and the location is something your guests will talk about for a very long time. 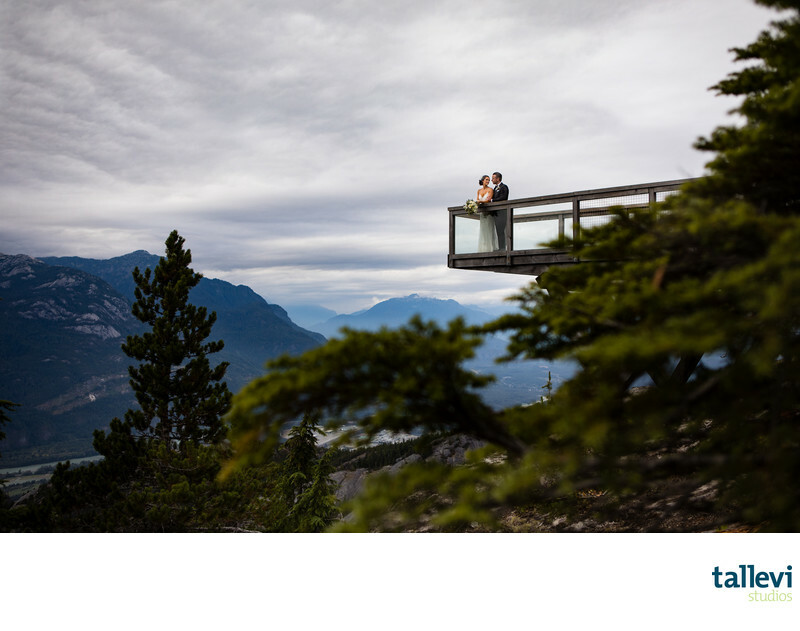 When there's time, I like to take a walk down to the Chiefview Lookout with the bride and groom. It's an easy 15 minute walk with lots of great spots along the way for stunning wedding photos. With mountain, valley, ocean and forest views, this spot can't be beat. If there isn't time for this, there are lots of other locations located closer to the lodge. Part of the fun of the Sea to Sky Gondola is taking the gondola up. 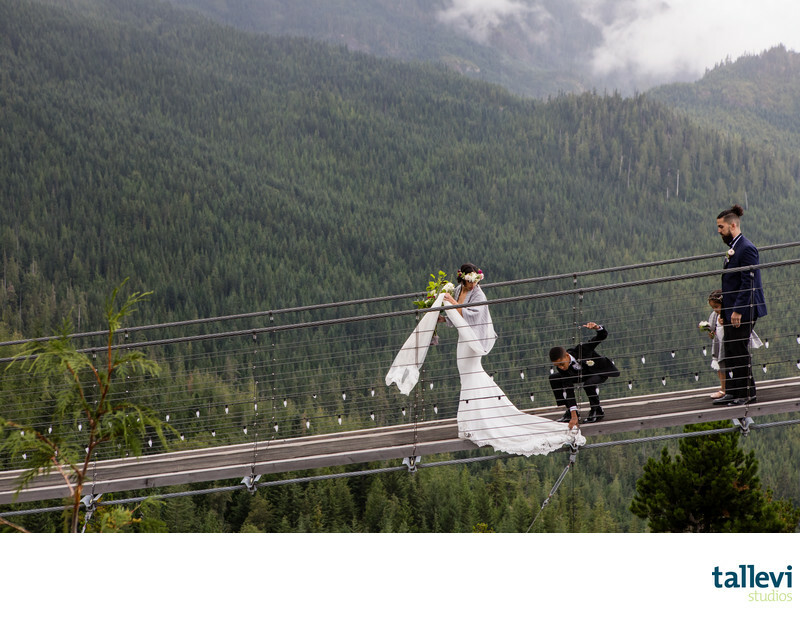 Another part of the fun of a Sea to Sky Gondola wedding is the suspension bridge. You can even use it as your aisle for your wedding ceremony. Take care to keep the train of your wedding dress and veil under control so you don't need to send in a rescue party! As much as couples try to plan every aspect of their wedding day, things like this can happen and when they do, it's always fun to laugh about it afterwards. These are the fun and spontaneous moments that are the most fun to photograph and to look back on after the wedding day. 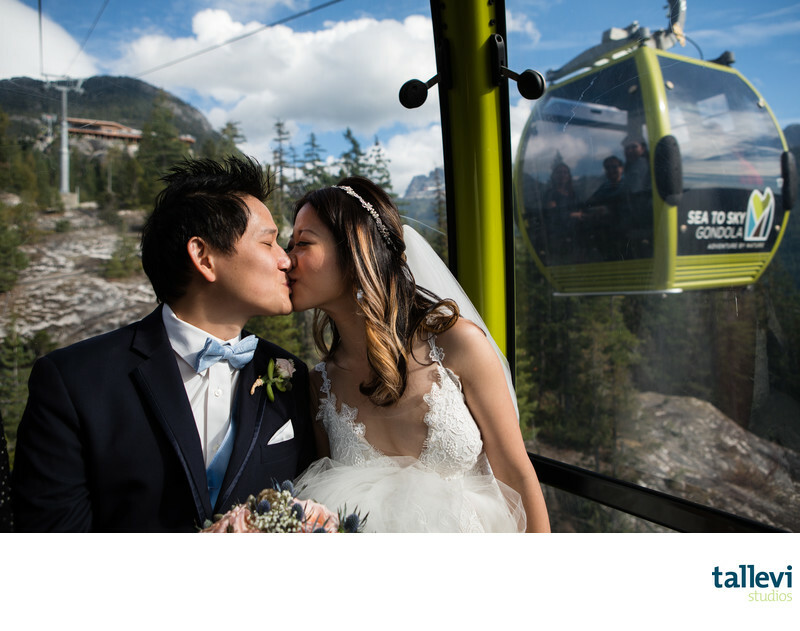 The Sea to Sky Gondola is truly a one-of-a-kind experience that can't be matched for your Squamish wedding. Wedding photographers covet this location! Keywords: Executive Suites (201), Oh Lovely Deer Events & Design (234), Sea to Sky Gondola (492), Squamish (897), wedding (1602).